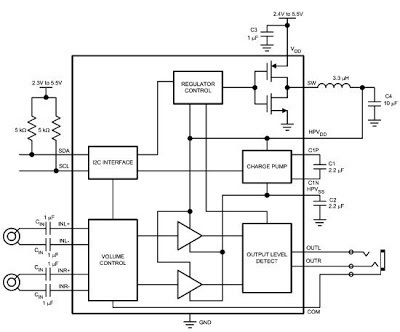 The LM48824’s Stereo Headphone Amplifier (Class G architecture ) increases audio (MP3, mobile TV, etc.) playback time with its adaptive power supply approach that enables very low supply rails, which doubles the power-efficiency compared to typical Class AB headphone amplifiers. 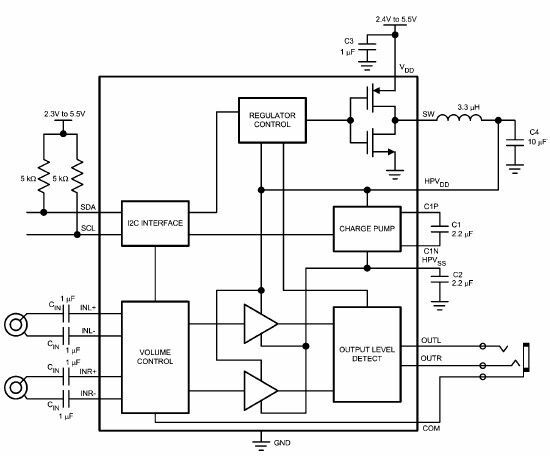 A high output impedance mode allows the LM48824's outputs to be driven by an external source without degrading the signal.